A must-have book for a more complete understanding of the political, commercial, and colonial aspects of Phoenicia, one of the ancient Mediterranean's most influential cultures. The Phoenicians were one of the most influential ancient Mediterranean cultures, and so it is surprising how few general history books there are on the market which cover this fascinating civilization. In addition, of the few books generally available a good proportion are hopelessly outdated, seminal works though they might have been in the first half of the 20th century. 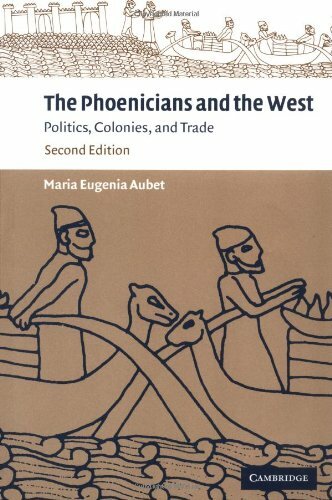 Maria Eugenia Aubet’s The Phoenicians and the West, therefore, makes an important contribution to the literature on the topic. The book is divided into ten chapters which cover not only the most famous of Phoenicia’s contributions to Mediterranean history - maritime trade and colonization – but also their origins, the evolution of the great cities of the Levant from the Iron Age onwards, their political structures, religious practices and architecture, and international relations with contemporary cultures in Egypt, the Aegean, and the Near East. Aubet is a Professor of Archaeology at the Universidad Pompeu Fabra and her arguments are robustly presented. She discusses prevailing theories, long-held misconceptions, and new evidence to arrive at convincing conclusions based on the knowledge presently available. The books strongest and most interesting contributions concern the history of Phoenician trade with a discussion of theories of how that may have functioned, who participated in it and controlled it, and how it drove the Phoenicians westwards. The chapter on the maritime skills of the Phoenicians and just how far they might have sailed beyond the Pillars of Hercules is also a highlight. The presentation of the chronology of the colonisation process and how interlinked colonisation and trade were for these ancient commercial seafarers is another important contribution, as is Aubet’s discussion of the latest theories concerning the tophet and child sacrifice for which the Phoenicians gained, unjustly it seems, an infamous reputation throughout history. Ancient sources on Phoenicia and archaeological evidence is much patchier than with other ancient cultures, nevertheless, Aubet stitches these together to present what remains the most balanced and complete coverage of what we know of the Phoenicians. This is a book clearly destined for a university library or academic’s bookshelf, and there are some sections a general reader might see fit to skim over such as the presentations of mercantile theory and exchange mechanisms, but there is much here of interest to the general reader. Aubet’s consistent presentation of what was once held as true and what is now held as true is also of great use and redresses the biases of ancient sources, the prejudices of earlier historians, and lack of archaeological evidence that most earlier works on this topic suffer from. In conclusion, with a smattering of black and white photographs and illustrations, maps, tables, extensive bibliography, and index this volume is absolutely essential for a more complete understanding of the Phoenicians from a political, commercial, and colonial perspective. Highly recommended. Aubet, Maria E. "The Phoenicians and the West: Politics, Colonies and Trade." Ancient History Encyclopedia. Last modified June 08, 2016. https://www.ancient.eu/review/139/. Aubet, Maria E. "The Phoenicians and the West: Politics, Colonies and Trade." Ancient History Encyclopedia. Ancient History Encyclopedia, 08 Jun 2016. Web. 18 Apr 2019.